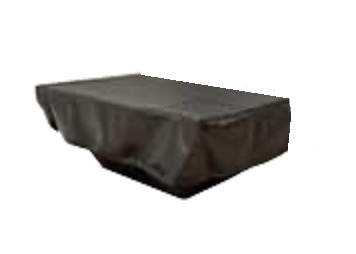 Durable Black Vinyl Cover for Fire Pit and Surround. 78 X 40" Rectangular Covers 68 X 30" to 78 X 40" diameter enclosure. Protects firepit from weather and debris. Pull string at the bottom keeps it on your enclosure.